The plane hit trees and utility poles then crashed into a yard. 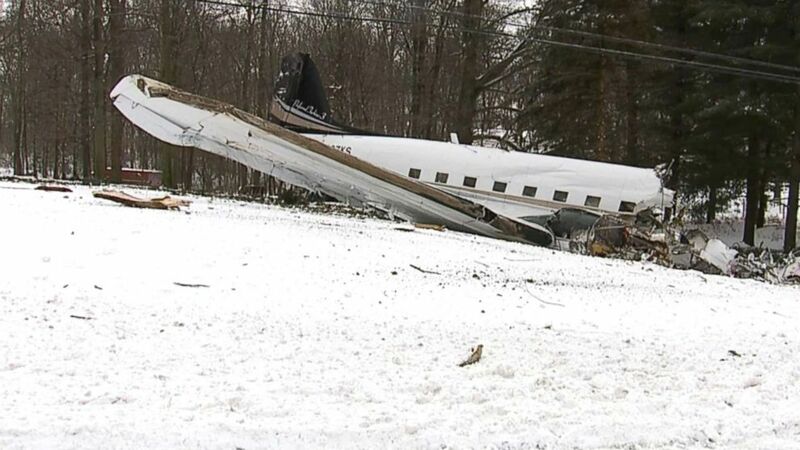 Two men aboard a 76-year-old plane were killed when it crashed Monday morning shortly after take-off, according to the Ohio State Highway Patrol. 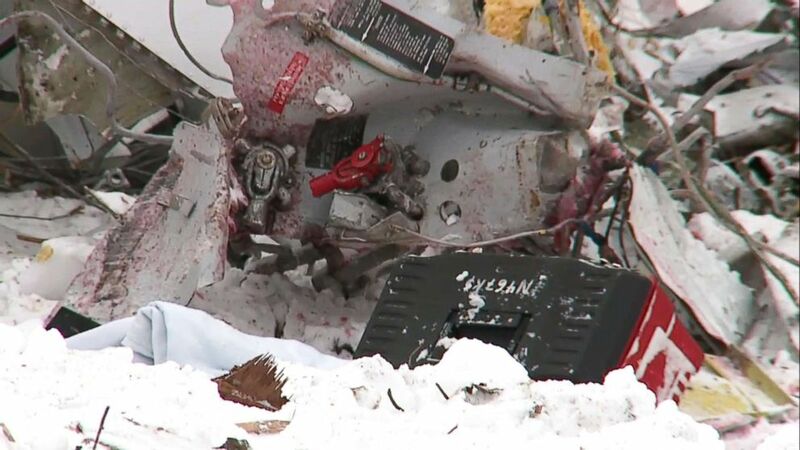 Initial reports show the plane had engine issues, which may have caused the crash in Wayne County, about 60 miles south of Cleveland, the highway patrol said. Brian Stoltzfus, 55, of Apple Creek, Ohio, was flying the Douglas DC-3 plane, and Curtis Wilkerson, 56, also from Apple Creek, was the co-pilot, the highway patrol said. 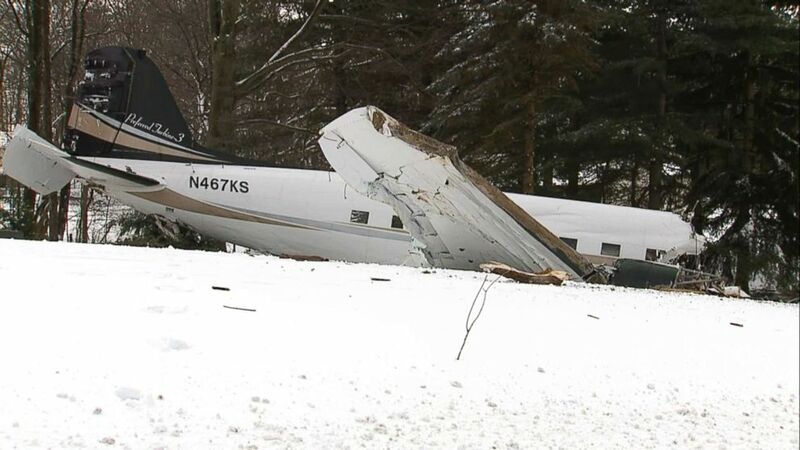 (WEWS) The scene of a small plane crash near Kidron, Ohio. Shortly after taking off, the plane hit trees and utility poles then crashed into a yard next to a home. "I've never felt a force inside the house that strong where it shook the house," said Michael Morrison, who owns the property where the plane crashed. "It's very scary," he told ABC Cleveland affiliate WEWS. "The cracking sounded like wood splintering ... then you heard the crash of it hitting the ground." "I called 911, I grabbed as many blankets as I could, I tried to come out and I tried to give a hand to people assisting from the airport," Morrison told WEWS. "By then they seemed to have it pretty much in control." No one on the ground was injured, the highway patrol said. The plane was manufactured in 1942, said Greg Martin, a spokesman for the Federal Aviation Administration. The first DC-3 plane first flew in 1935, said ABC News aviation consultant Col. Steve Ganyard. "It was a great airplane, and there are thousands still flying in remote parts of the world, but it is an antique," Ganyard said. A spokeswoman for the FAA initially said six people were aboard the plane and that four other passengers were injured, but the agency has since deferred to the Ohio's highway patrol, which reported the two deaths. The FAA and NTSB each said no investigators immediately would inspect the crash site because of the record-long government shutdown. 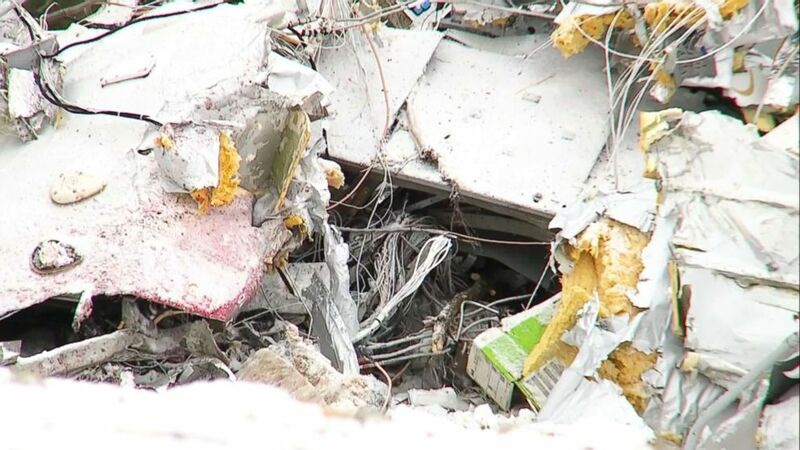 The NTSB added that it would look into the incident once the government reopens. "The majority of the National Transportation Safety Board's employees are currently furloughed and will not be able to respond to major accidents, as well as other accidents where specific risks to transportation safety exists unless there's a specific risk involved that could result in imminent loss of life," the NTSB said in a statement.